Suzanna's videos, like her teaching - have staying power. They provide detailed and helpful information while presenting fun practice sessions that you can return to year after year. All of the DVD's have menus with chapters so that you can navigate to the different sections at the touch of a button.they are all region - U.S. - N.T.S.C. - "glass mastered" (not burned). They can be played on all multi-standard players and are computer-compatible. All prices are U.S. Currency only, please. Don't worry, if you make any error in ordering, we will correct and charge you only the correct amount for your purchase! We have thoroughly checked out these systems - and they are both actually SAFER than using your card at the department store! 24 hours a day, call 1-303-399-2622 or 1-970-245-1311. Simply leave your name, address, card number with expiration date, and the item(s) you would like to receive. If you have questions please leave a return phone number. ...is by US Postal Service Only (regular 1st class mail or Overseas Air-Mail). NO UPS or FedEx. Overseas customers will be charged appropriate postage fees for the destination country. Postage is automatically added to your purchase price with ONLINE orders. For one video/dvd shipping and handling is $4, $6 for 2 or more. 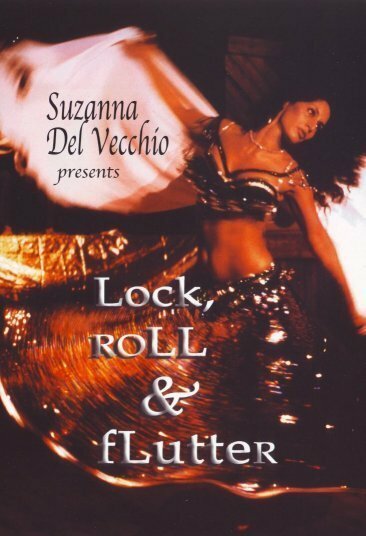 Please note: Suzanna's DVDs are practice videos for students/dancers who have taken at least a basic introductory course in the art of belly dance. In this unique instructional video, Suzanna presents you with a concise, yet explicit breakdown of the various dance isolations and combinations which she later incorporates into a complete continuous 30 minute workout. With her knowledge of body alignment, gained from continuing studies in Hatha Yoga, Iyengar style, Suzanna presents a safe and effective way of executing the movements while expending the least amount of energy. Asking for your full awareness: "be in the moment while executing the movement", Suzanna encourages joyous participation in the wave-like flowing movements of this exotic dance. Regular use can help bring about a stronger more flexible body while building greater stamina and awareness. Suzanna covers 39 dance isolations and/or dance combinations. With so many to remember and review, you will love the helpful card enclosed with this dvd - this memory aid lists all the isolations and the order in which they are shown. This video is recommended for Beginning Level through Advanced Level students, as review for professionals, and also as an instruction tool for teachers desiring a fresh look at movement break-down for presentation to their students. Running time is approximately 90 minutes. This DVD is suggested for intermediate through professional level dancers, assuming you are familiar with the material in "Precision Motion Workout. In Volume II of her home practice video series for dancers, Suzanna introduces combination movements from her own personal choreographies, most recently included in her "Dances from the Heart II" video. Suzanna carefully breaks down any dance isolations that are not previously covered in "Precision Motion Workout" - the first volume of her practice series. She then leads you through a dynamic and stimulating practice using fast and slow dance and veil combinations. In this her newest video - the 3rd in Suzanna's instructional practice series - Suzanna thoroughly explains any new isolations that she has not previously broken down in "Precision Motion Workout" or "Dynamic Combinations". She then leads you through a series of challenging percussive dance combinations creating a mini-choreography. After mastering this series, you are encouraged and inspired to create your own drum solo dance. Running time is approximately 60 minutes. 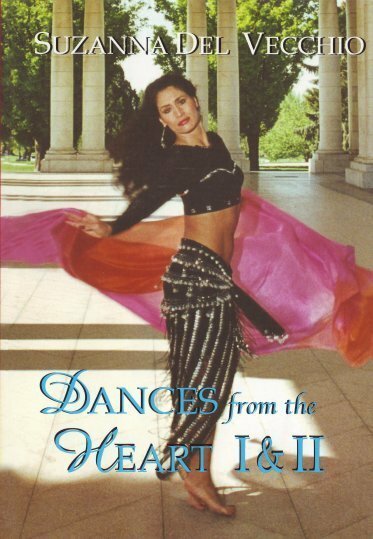 Get both of Suzanna's timeless classic performance DVDs - "DANCES FROM THE HEART" and "DANCES FROM THE HEART II" in one DVD now at a great new price: only $14.95! In this, her first solo performance video, Suzanna dazzles you with six Oriental Dances. From the dramatic chiftetelli of Allen Bachman's "Return to The Goddess" to the playfulness of "Nelli," Suzanna captures your imagination. The chemistry between music and dancer is skillfully recorded amid varied locations by videographer Jeff Hansell, resulting in a visually lush production. Whether surrounded by spectacular Rocky Mountain peaks or within a Greek-inspired temple, Suzanna dances from the heart. Run timeabout 60 minutes. In this, her second solo performance video, Suzanna draws from her twenty year involvement in The Dance, inviting you to experience the drama and joy of this ancient feminine art form. Six choreographies are presented in varied locations, depicting the full range of emotion this dance is known for. From the drama of "Dark Fire" to the joyfulness of "Ecstasy", Suzanna once again dances from the heart. Run time about 60 minutes. © Copyright 2012 Suzanna Del Vecchio. All Rights Reserved.